is missing. Above her hangs a small doll made of chestnuts. Ambitious young detective Naia Thulin is assigned the case. Her partner, Mark Hess, is a burned-out investigator who's just been kicked out of Europol. They soon discover a mysterious piece of evidence on the chestnut man - evidence connecting it to a girl who went missing a year earlier and is presumed dead - the daughter of politician Rosa Hartung. The man who confessed to her murder is behind bars and the case is long since closed. Soon afterwards, another woman is found murdered, along with another chestnut man. Thulin and Hess suspect that there's a connection between the Hartung case, the murdered women and a killer who is spreading fear throughout the country. But what is it? Thulin and Hess are racing against the clock, because it's clear that the murderer is on a mission that is far from over. 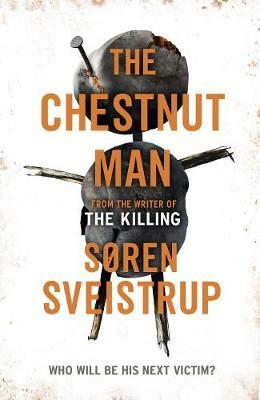 The Chestnut Man is by Søren Sveistrup. BREAKING: Nuclear weapon detonates over Washington. BREAKING: London hit, thousands feared dead. BREAKING: Munich and Scotland hit. World leaders call for calm. Historian Jon Keller is on a trip to Switzerland when the world ends. As the lights go out on civilisation, he wishes he had a way of knowing whether his wife, Nadia, and their two daughters are still alive. More than anything, Jon wishes he hadn't ignored Nadia's last message. Twenty people remain in Jon's hotel. Far from the nearest city and walled in by towering trees, they wait, they survive. Then one day, the body of a young girl is found. It's clear she has been murdered. Which means that someone in the hotel is a killer. As paranoia descends, Jon decides to investigate. But how far is he willing to go in pursuit of justice? And what kind of justice can he hope for, when society as he knows it no longer exists? 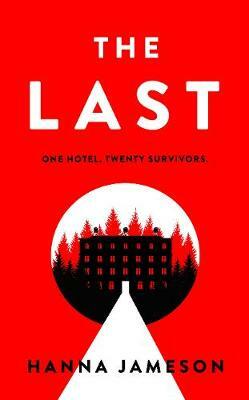 The Last is by Hanna Jameson. One night, Annie went missing. Disappeared from her own bed. There were searches, appeals. Everyone thought the worst. And then, miraculously, after forty-eight hours, she came back. But she couldn't, or wouldn't, say what had happened to her. Something happened to my sister. I can't explain what. I just know that when she came back, she wasn't the same. She wasn't my Annie. I didn't want to admit, even to myself, that sometimes I was scared to death of my own little sister. 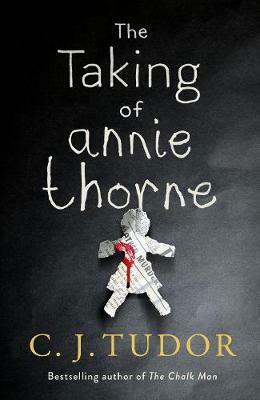 The Taking of Annie Thorne is by C J Tudor. 'For me it all goes back to that night, the dark corroded hinge between before and after, the slipped-in sheet of trick glass that tints everything on one side in its own murky colours and leaves everything on the other luminous and untouchable.' One night changes everything for Toby. He's always led a charmed life - until a brutal attack leaves him damaged and traumatised, unsure even of the person he used to be. He seeks refuge at his family's ancestral home, the Ivy House, filled with memories of wild-strawberry summers and teenage parties with his cousins. But not long after Toby's arrival, a discovery is made: a skull, tucked neatly inside the old wych elm in the garden. As detectives begin to close in, Toby is forced to examine everything he thought he knew about his family, his past, and himself. The Wych Elm is by Tana French. Day of the Accident is by Nuala Ellwood. Sixty seconds after she wakes from a coma, Maggie's world is torn apart. The police tell her that her daughter Elspeth is dead. That she drowned when the car Maggie had been driving plunged into the river. Maggie remembers nothing. When Maggie begs to see her husband Sean, the police tell her that he has disappeared. He was last seen on the day of her daughter's funeral. What really happened that day at the river? Where is Maggie's husband? And why can't she shake the suspicion that somewhere, somehow, her daughter is still alive? Adam Brandt is a forensic psychologist, used to dealing with the most damaged members of society. But he's never met anyone like Kassie. The teenager claims to have a terrible gift. With just one look, she can foresee when and how you will die. Adam knows Kassie must be insane. But a serial killer is terrorising the city. And only Kassie seems to know who his next victim will be. Against all his intuition, Adam starts to believe her. But he doesn't realise how deadly his faith might prove... A Gift for Dying is by M J Arlidge. 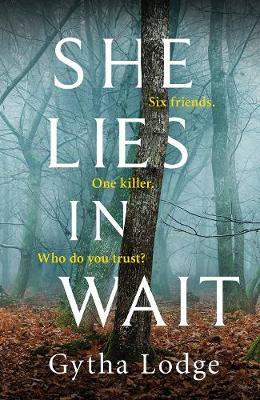 She Lies in Wait is by Gytha Lodge. Six friends. One killer. Who do you trust? On a hot July night in 1983, six school friends go camping in the forest. Bright and brilliant, they are destined for great things, and young Aurora Jackson is dazzled to be allowed to tag along. The murder of a team of U.N. scientists while investigating mysterious deaths in El Salvador. A deadly collision in the waterways off Detroit. An attack from tomb raiders on an archeological site along the Nile. Is there a link between these violent events? The answer may lie with the tale of an Egyptian princess forced to flee the armies of her father three thousand years ago. From the desert sands of Egypt to the rocky isles of Ireland to the deep water lochs of Scotland, only Dirk Pitt can unravel the secrets of an ancient enigma that could change the very future of mankind. Celtic Empire is by Clive and Dirk Cussler. It's one of the most disturbing cases DI Fawley has ever worked. The Christmas holidays, and two children have just been pulled from the wreckage of their burning home in North Oxford. The toddler is dead, and his brother is soon fighting for his life. Why were they left in the house alone? Where is their mother, and why is their father not answering his phone? Then new evidence is discovered, and DI Fawley's worst nightmare comes true. Because this fire wasn't an accident. It was murder. No Way Out is by Cara Hunter. Ellidaey is a collection of isolated islands off the coast of Iceland. It is has a beautiful, unforgiving terrain and is an easy place to vanish. The Island is the second thrilling book in Ragnar Jónasson's Hidden Iceland trilogy. This time Hulda is at the peak of her career and is sent to investigate what happened on Ellidaey after a group of friends visited but one failed to return. Could this have links to the disappearance of a couple ten years previously out on the Westfjords? Is there a killer stalking these barren outposts? Major Leo Black was once one of the SAS's most fearsome and effective warriors and after twenty years of war, is now striving to be a force for peace. A junior tutor without tenure at Oxford University, his lectures on the ethics of conflict are an inspiration to his students but a threat to colleagues wary of admitting him to their gilded circle. When his oldest friend and comrade is brutally murdered as a part of a dark international conspiracy, Black's new-found principles are put to the ultimate test. There's a violent job to be done and he's the man called upon to do it: the unrivalled expert in the art of killing. The Black Art of Killing is by Matthew Hall. 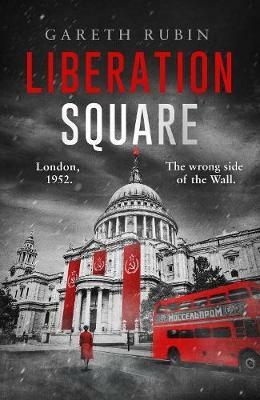 Liberation Square is by Gareth Rubin. 1952. Soviet troops control British streets. After the disastrous failure of D-Day, Britain is occupied by Nazi Germany, and only rescued by Russian soldiers arriving from the east and Americans from the west. The two superpowers divide the nation between them, a wall running through London like a scar. When Jane Cawson calls into her husband's medical practice and detects the perfume worn by his former wife, Lorelei, star of propaganda films for the new Marxist regime, she fears what is between them. But when Jane rushes to confront them, she finds herself instead caught up in the glamorous actress's death. Nick is soon arrested for murder. Desperate to clear his name, Jane must risk the attention of the brutal secret police as she follows a trail of corruption right to the highest levels of the state. And she might find she never really knew her husband at all. My Lovely Wife is by Samantha Downing. Every marriage has secrets. Everyone has flaws. Your wife isn't perfect - you know that - but then again nor are you. But now a serial killer is on the loose in your small town, preying on young women. Fear is driving your well-behaved young daughter off the rails, and you find yourself in bed late at night, looking at the woman who lies asleep beside you. Because you thought you knew the worst about her. The truth is you know nothing at all. On Halloween night, four households gather for a party in the tiny Yorkshire village of Black Gale. Three hours in, they head outside, onto the darkened moors, to play a drunken game of hide and seek. None of them return. There's no trail, no evidence and no answers. An entire village has just vanished. With the police investigation dead in the water, the families of the disappeared ask missing persons investigator David Raker to find out what happened. But nothing can prepare him for the truth. The currently untitled book in the David Raker series is by Tim Weaver. If you leave a door half-open, soon you'll hear the whispers spoken... Still devastated after the loss of his wife, Tom Kennedy and his young son Jake move to the sleepy village of Featherbank, looking for a fresh start. But Featherbank has a dark past. Fifteen years ago a twisted serial killer abducted and murdered five young boys. Until he was finally caught, the killer was known as 'The Whisper Man'. Of course, an old crime need not trouble Tom and Jake as they try to settle in to their new home. Except that now another boy has gone missing. And then Jake begins acting strangely. He says he hears a whispering at his window... 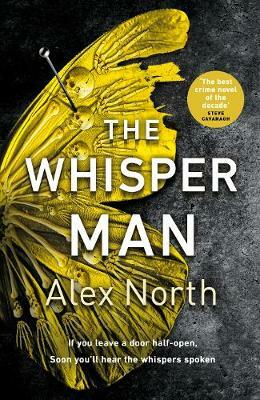 The Whisper Man is by Alex North.